The three best-selling mid-size sedans in the US last year all came from Japanese automakers. The reliable Toyota Camry led the way with 429,355 units moved and the venerable Honda Accord followed closely behind with 355,557 vehicles sold, while the stylish and fuel-efficient Nissan Altima came in third with sales of 333,398 units. With the mid-size sedan market being so competitive, it can sometimes be difficult for consumers to decide which model is best for them. 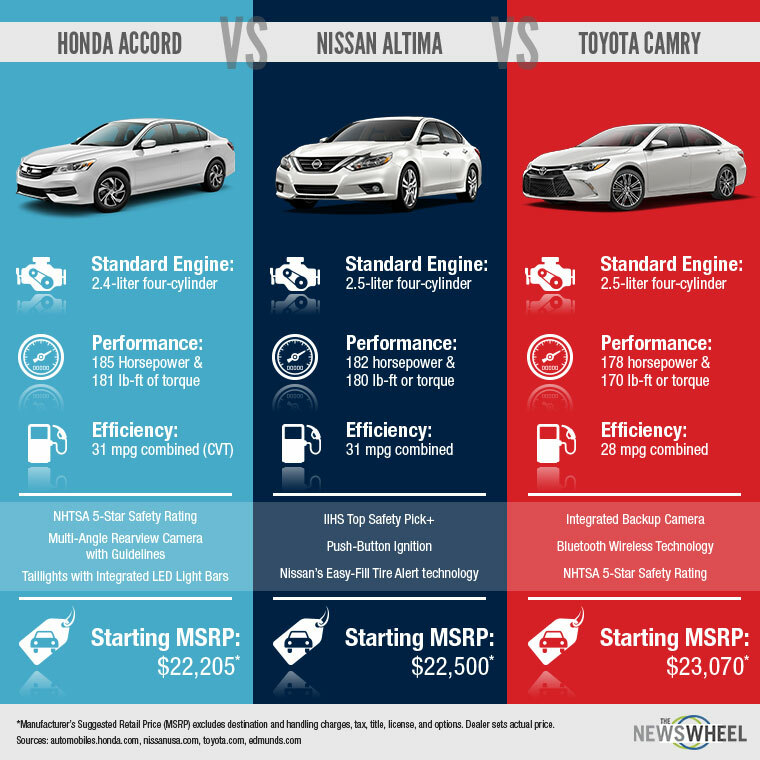 This infographic below shows a side-by-side comparison among the three sedans, which allows potential buyers to get a better idea of how the three models stack up against each other.